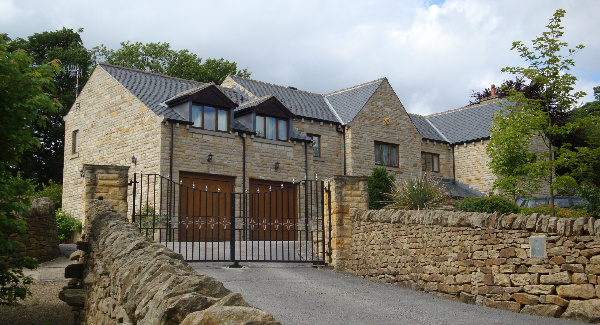 We provided a full architectural service for this delightful stone-built, bespoke new house in Bingley, near Bradford. Our brief was to provide the client with a 5 bedroom, 3 bathroom luxury detached family home on a vacant building plot, in which the client planned to live for many years. Much attention to detail was given to the landscaping around the dwelling, as well as the general detail of the building. After extensive consultation with the client, we submitted a planning application to Bradford council planning department, which was dealt with swiftly and approved at the first time of asking. Following the grant of planning permission we prepared a very detailed package of technical drawings, which we used to form our building regulations application, and also provided to the main contractor to enable him to build from. 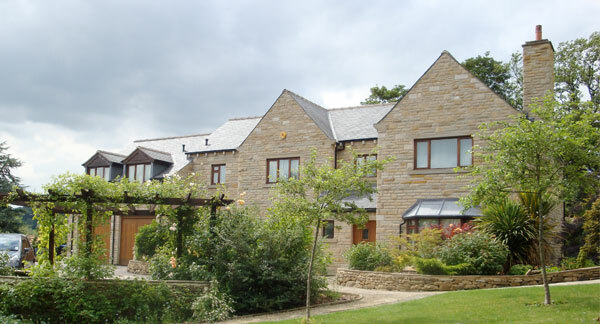 This was one of our first projects to reach site, and we were extremely encouraged at how smoothly the building process was, which we attributed to the very thorough and detailed package of information provided, as well as working alongside an extremely competent contractor.